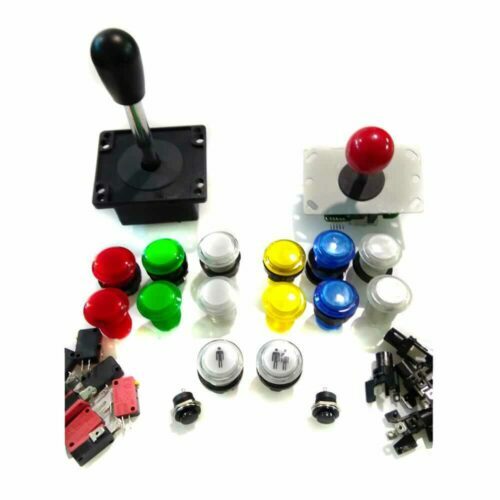 Home / Controls / Arcade controls kit for 2 players. 24 or 30mm lighted. Save purchasing the kit! 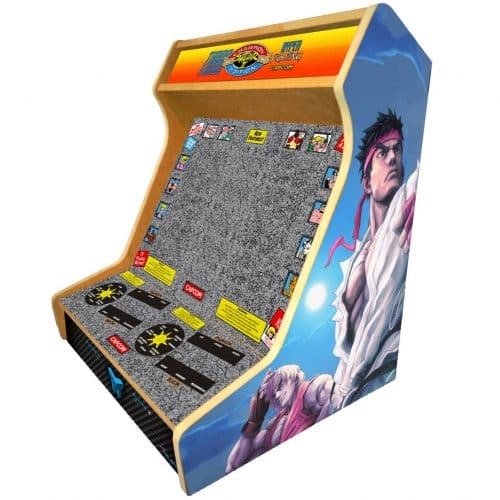 You will have all the necessary controls for 2 player for your arcade bartop, arcade pad or bartop. 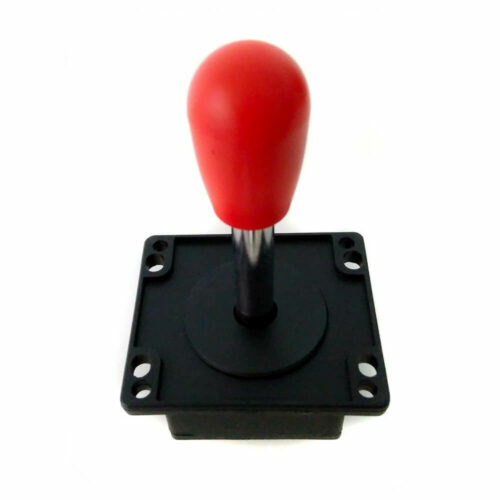 – 2 Joysticks. 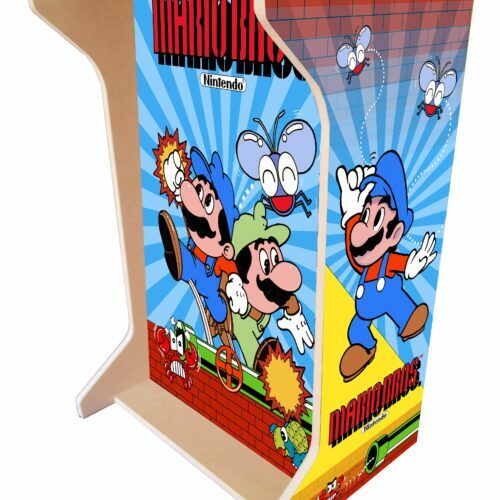 Red or black, in spanish or japanese format. 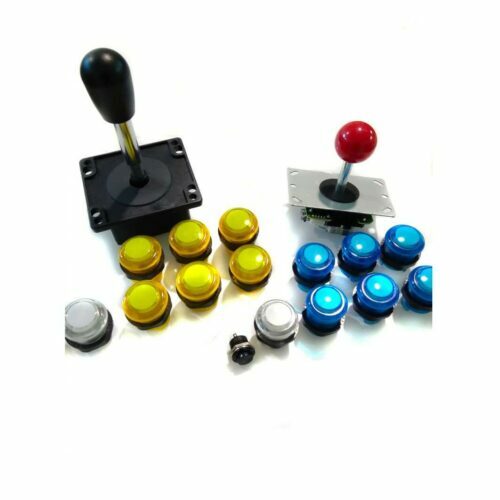 – 14 arcade push lighted buttons of 30mm. 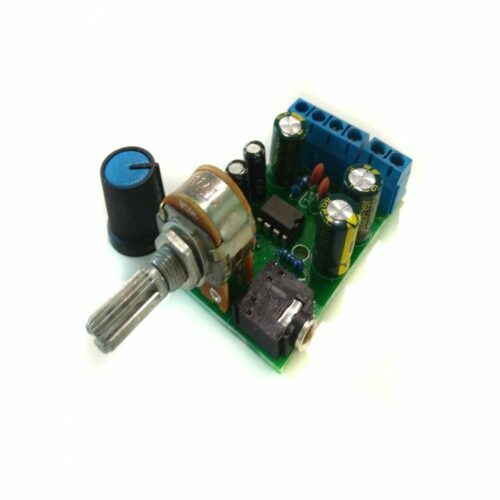 It incorporate adapter to use them also in 24mm holes. Colors to choose. 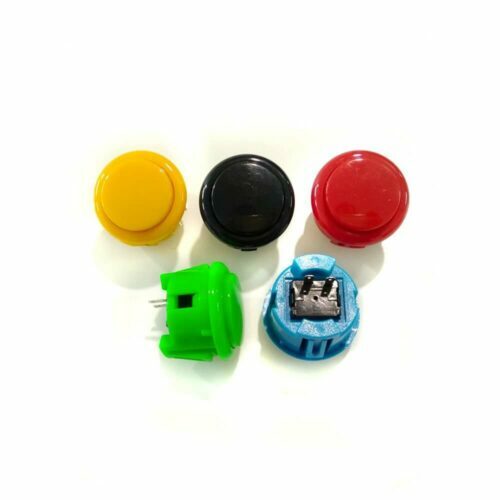 – 4 arcade push lighted buttons of 30mm.